Okay, time really went by soooo fast. I am now officially using the American Idol Premiere to replace the Gregorian Calendar. It seems only yesterday when the American Idol Season 12 premiered when audience were divided into Team Mariah and Team Minaj. Now, the American Idol Season 13 will air on Star World this January 16th and we will once again witness hundreds of aspiring singers break their vocals to be the next idol. Nationwide auditions held in different cities around the US: Salt Lake City, Utah; Detroit, Michigan; Atlanta, Georgia; Boston, Massachusetts; Austin, Texas; and Omaha, Nebraska. I cannot wait to hear the stories of the candidates from different backgrounds and colorful personalities during the screening process. Country sensation Keith Urban, who was a first-time judge in Season 12, is returning for his second year on the show, while pop superstar Jennifer Lopez is coming back to the judging panel after leaving it at the end of Season 11 – a first in American Idol history! Star World has been the home of American Idol since the very first season aired, and has consistently garnered a strong viewership throughout all 12 completed seasons of the show. 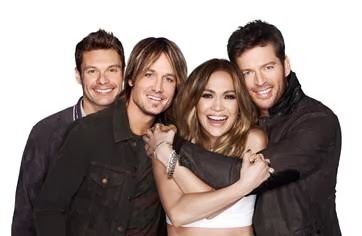 Who is excited for the BIG American Idol Season 13 Premiere?